With so many fun and exciting things to do around town, having a car you can rely on is important. 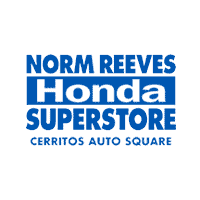 As a dealership with plenty of used cars for sale in Cerritos, CA, our team at Norm Reeves Honda Superstore Cerritos is happy to help you find the vehicle you need most. One of the things that’s so loveable about Cerritos is that it maintains the charm and friendliness of a much smaller city, a fact that makes it a great place to raise a family. On any given day, you might be loading up the kids in the car to drive to the Cerritos Millennium Library or to the Don Knabe Community Regional Park. Both are great options when you want to unwind (and to tucker out the little ones while you’re at it). Of course, you and your family need a car with superior safety and comfort to get you to and from. And our Honda dealership has just the used cars you need to get around Cerritos, CA, safely. When you’re shopping for an affordable used car, you want a dealership you can trust. At our Cerritos, CA, used car dealership, we always provide a friendly and professional shopping experience for our customers, where you can get the information you need to make the right decision. Our sales representatives are here to help you learn about your used car options and explore each model you’re interested in. Well even help you define exactly what you’re looking for and build a selection of vehicles for you to test drive. When you’ve found the used car that’s right for you, our finance team will work with local banks and lenders to get you an auto financing option that makes sense for you. We’ve helped hundreds of drivers get behind the wheel of the car they need, and we want to do the same for you. At the end of the day, your satisfaction is our top concern. We want to make sure that you have the best customer service experience when looking for a used car here in the Cerritos, CA, area. That’s why we offer our knowledgeable staff and personalized service to make car buying as easy and fun as possible. Our Honda dealership carries a diverse selection of used cars for sale right here in Cerritos, CA. No matter what you’re looking for, we can help you find the car that’s right for you and your family. For instance, maybe your family is growing and you need to upgrade to a car that has extra space (and plenty of comforts, too). In that case, wed say a used Honda Odyssey would make a wonderful choice. Likewise, maybe you’re just looking for a sleek and stylish sedan. If you were to buy a used Honda Accord, you might be able to snag a top trim level at a highly affordable price. The options are nearly endless. You can see for yourself by browsing our inventory of Cerritos, CA, used cars online. If you find a model that you’re interested in, just contact us online or over the phone, and well arrange a test drive for you. The test drive is a surefire way to learn whether or not a car will fit into your lifestyle. While you’re behind the wheel, one of our sales consultants will be there with you to explain the ins and outs of your preferred model. Truly, their help will be indispensable. If you want to find the perfect used car for Cerritos, CA, then you may need to do a bit of research beforehand. While our staff is happy to answer any questions you might have, it’s still a good idea to come in prepared. To help you discover the right model, we have plenty of vehicle reviews and comparisons on our website. These articles tend to break down all the best features and specs in any given model. That way, you know all the highlights. You can even see how they fare against other leading models of the same class. We also have a few resources to help you get a jump on the financing process. First and foremost, you can apply online today before coming into the dealership. Its a fast, easy, and confidential step, one that can greatly expedite the process for you! While our Honda dealership is well-known for the number of used cars we have for sale here in Cerritos, CA, were also well-known for our service center. See, if you’re looking to get as many years as possible out of your car, routine maintenance and repair are a necessity. Were more than happy to take care of them for you. Our service technicians are all highly trained and well-equipped. Regardless of how big of a problem you might throw at them, they’re committed to rising to the challenge. You can schedule your next service appointment by contacting them online or over the phone today. With our numerous resources, our knowledgeable staff, and the sheer number of used cars we have for sale in Cerritos, CA, finding your perfect match shouldn’t be difficult. And at our Honda dealership, we are more than happy to help you do so. If you’d like to learn how to find your next used car, contact Norm Reeves Honda Superstore Cerritos today for more information!